Ideal spectra are especially desired in aquariums due to the demands of plants. This bundle (controller board and LEDs) was designed for this exact scenario. By using LEDs of different wavelengths in a given combination it is possible to nearly replicate the visible parts of the sun's spectrum. 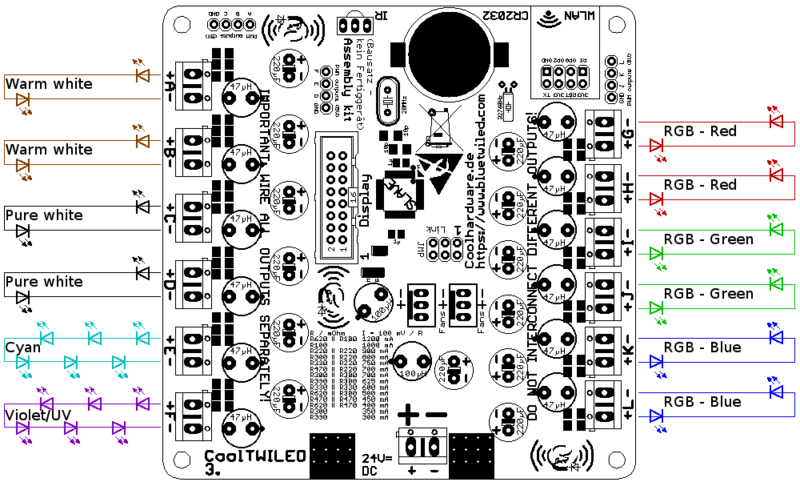 Using this simulation you can also try different LED configurations and compare their spectra to the spectrum of sunlight in various depths. Your goal would be to minimize gaps. Please note that in practice there will be minor deviations due to component tolerances. As a default (when refreshing this page) the reef bundle configuration and recommended dimming is loaded. This configuration needs 1pc CoolTWILED and pc(s) CoolTWILED SLAVE or SLAVEPLUS. 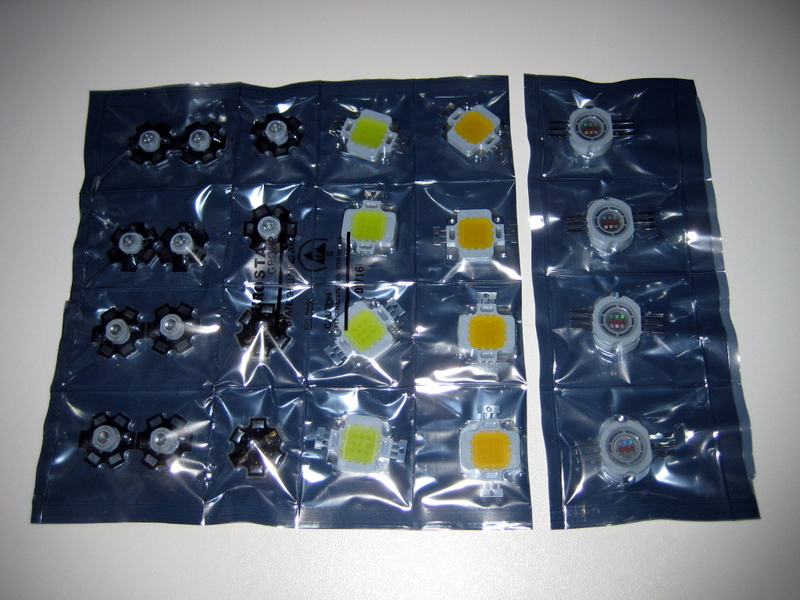 The fresh water bundle includes CoolTWILED 3.x and LEDs for fish tanks. 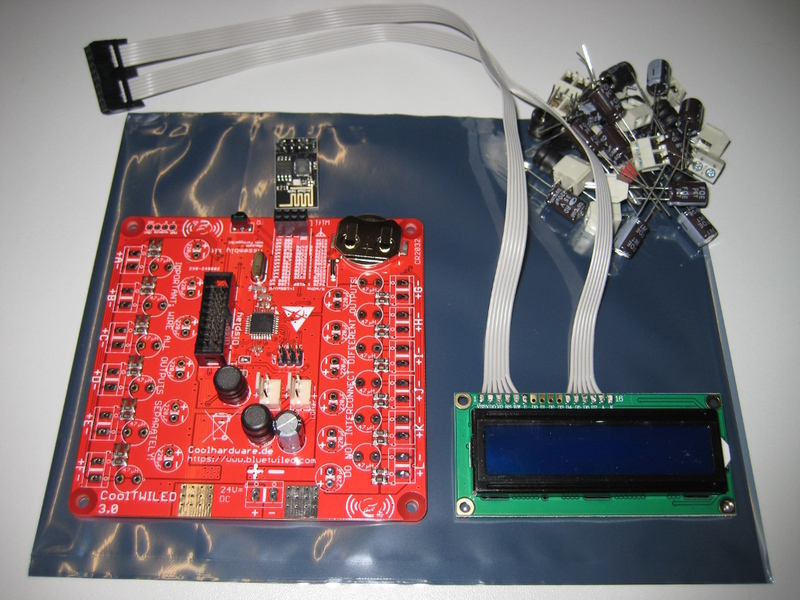 DIY kit CoolTWILED 3.x “Fresh water”: 199 EUR plus shipping. For all bundles we will configure and test each LED port current accordingly. Either contact us via email mail@webtemp.org or just use the option below. The bundle is in stock and can be shipped right away. Please make sure your shipping address is correct.